My employer has Law Enforcement trade in .357 Sig ammunition available. Speer Gold Dot 125 grain 50 round boxes are $18 each. 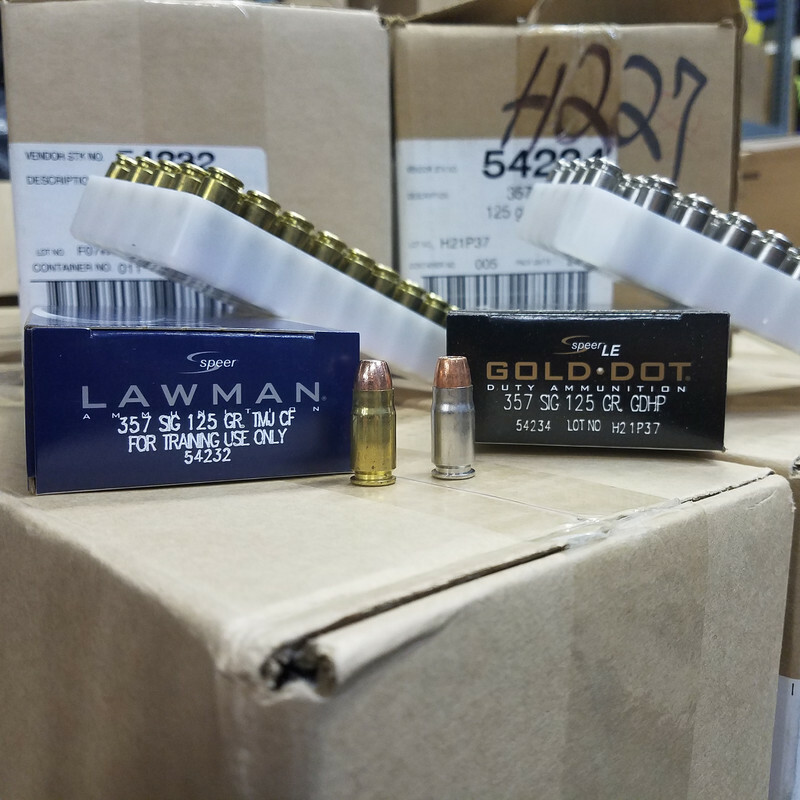 Speer Lawman Cleanfire 125 grain 50 round boxes are $12 each. 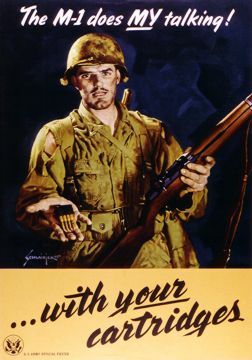 Ammunition is not available on the website. Ammo can be purchased in store or via phone orders, 919-779-6141. I also told Phil in SC store about him being able to transfer some there. I am glad some agencies are going to 9mm. That makes for cheaper .40 and .357sig for me. Be advised you will get a recording. When it says store locations, prest the number for the Raleigh store. Thanks for the heads up. I just ordered some. GarandGuy, I called and the guy I spoke with sounded like a good guy as well, and I'm reporting I'm in for a dozen, 50/50 between fmj & GDs, thanks! The Speer Gold Dot LE 50rd boxes is a great deal, as locally, I have been paying about $30. plus sales tax. Also, they will ship up to 20 boxes for the flat rate of $8.95. You can't beat that. The Speer Gold Dot LE is used as duty ammo, self defense. Great stuff. The other Fmj is range/training ammo. They have 3 pallets left. Thanks for posting. I just bought 10 cases for a total of $2288.95 shipped. That should be enough to last me a year. Called after the store was closed and Austin answered. Picked up 2k of the gold dot and 1k of the lawman. Great to deal with. Said it would ship tomorrow. Told me they had approx 40 cases left. Man! I feel bad that I only ponied up for 3 GDs and 3 FMJs, it IS a heck of a deal. I did spread the word to my fellow 357 Sig owning friends and generated several more orders. In truth, it's a "secondary caliber" to me, 9mm is my primary playing around caliber, and, courtesy of Target Sports USA's cheap prices a year ago, I have three full .50 cal cans of 357 Sig now. FedEx says my order will arrive today! Was on the fence about this but you animals snatching it up so quickly made me grab some. Ordered 7 boxes of GD. I have a p229 with the 40 and 357 barrels so all my target ammo is cheap 40 and my SD ammo is 357. Great deal, wish I could order more. Awesome deal! I picked up two cases of the Lawman target. Austin thanks everyone for purchasing the ammo. My order arrived today as well, and it was perfect, thanks! My order came today and it's completely wrong. Ordered 7 boxes of gold dots got 7 boxes of lawman and one box of gold dots. Received mine today. Gave the FedEx driver a nice little workout.